The natural progression from the PURE Creativity Kits is the UPGRADE KIT. This kit removes the items that the stylist has already received in their first kit and enables them to UPGRADE to FULL APPLICATION SERVICES at a discounted price. The salon will then be able to offer complete extension services to their clients. 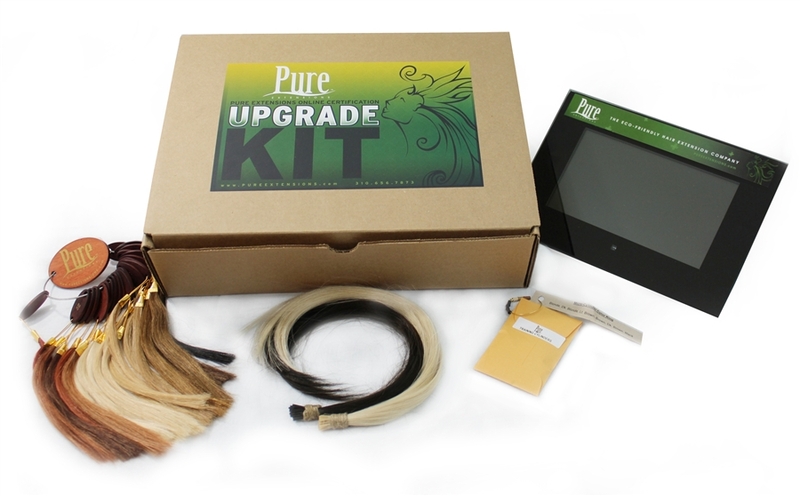 Upon purchase of the UPGRADE KIT the stylist will receive access to PURE�s one of a kind Online Certification Program, taught by industry icon Vivienne Mackinder. PURE�s Online Certification Program is the first of its kind. By allowing stylists to receive the education online, PUREs program eliminates the need to travel to a class and provides the stylist with as much time as they need to successfully complete the program. Plus, access to the online program does not expire so the stylist can revisit for a refresher. from $1100 - $2000 and up!